Home / Events / Meet your process partners this week! 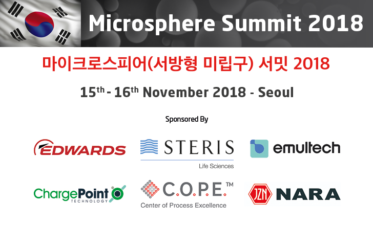 Join us on Thursday and Friday at the impressive Shilla hotel in Seoul for the 2018 Microsphere Summit & Technology Forum! With exclusive access to expertise in process development and the latest technology, the Microsphere Summit is a place for Ideas and solutions to controlled release drug production. Come and have face to face consultations with process experts. Delegates can arrange FREE meeting with our sponsors Edwards, ChargePoint, Emultech, Canty and PSL. Arrange your individual consultations now and discus your specific requirements in a dedicated space. Email summit@powdersystems.com for more information. Posted on Dienstag, November 13th, 2018 at 9:00 am in Events, Latest News.